Be A Buddy Club Challengers! 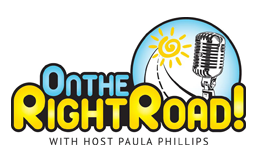 where I co-host with Paula Phillips. Paula announces some very exciting news! Follow our Club Challenge to see what is up next. CHECK OUT OUR PLEDGE PAGE ​and see all of the people who have pledged to BE A BUDDY! DO YOU NEED HELP RIGHT NOW! Stand Up! Step In!™, Be A Buddy™and Be Buddy Club Challenge™ are trademarked names of the organization Be A Buddy Not A Bully™, and may not be used by any other parties. Permission to reproduce any information or images contained on this site must be requested in writing and submitted to the attention of Be A Buddy Not A Bully™ . Unauthorized usage of these trademarks are considered to be intellectual property infringements.